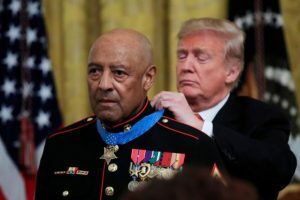 Sergeant Major John Canley was awarded the Medal of Honor in October of 2017 by President Trump for his actions during the battle of Hue in 1968. After his company commander was wounded in battle while defending a convoy, Canley assumed command and led the convoy to safety. 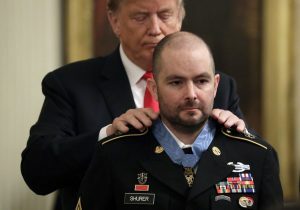 President Trump awards the Medal of Honor to former Army Staff Sgt. Ronald Shurer for helping save several comrades during an intense firefight in Afghanistan in 2008.  President Trump awarded a posthumous Medal of Honor to Air Force Tech Sgt. John Chapman in a long-awaited ceremony. Chapman was killed in the Battle of Takur Ghar in Afghanistan in 2002. 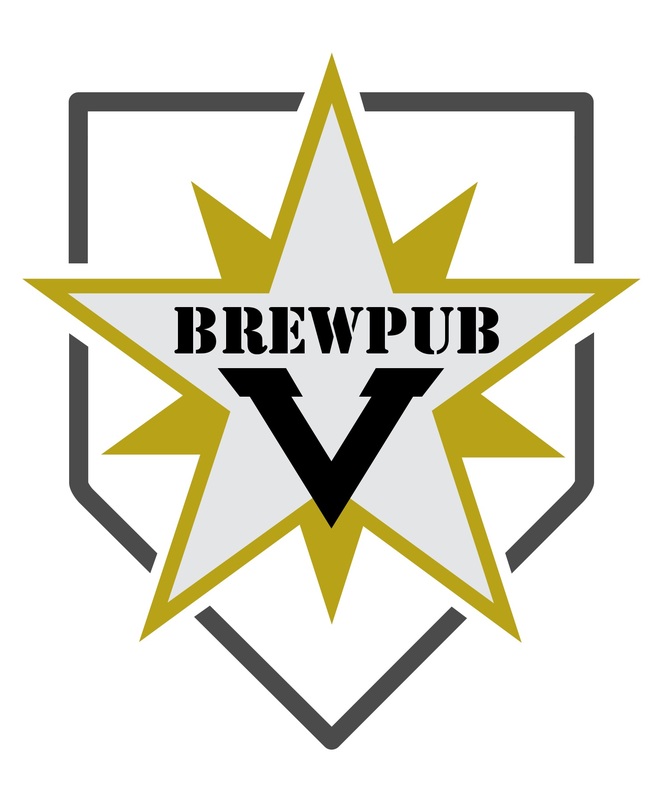 John A. Chapman was a Combat Controller in the United States Air Force who was posthumously awarded the Medal of Honor on August 22, 2018 for his actions in the Battle of Takur Ghar during the War in Afghanistan. He is the first airman to receive the Medal of Honor since Vietnam. 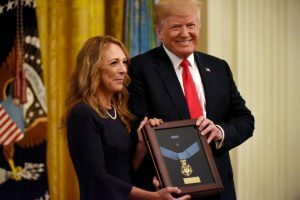 President Donald Trump awarded the Medal of Honor posthumously to Garlin Murl Conner. 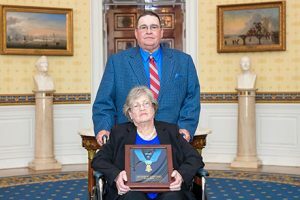 Conner’s widow, Pauline, accepted the award during a White House ceremony. Garlin Murl Conner (2 June 1919 – 5 November 1998) was a United States Army technical sergeant and first lieutenant in the Second World War. 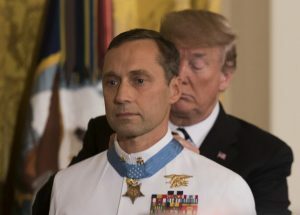 Due to his actions in Italy and France, he was awarded the Medal of Honor by President Trump in June of 2018. 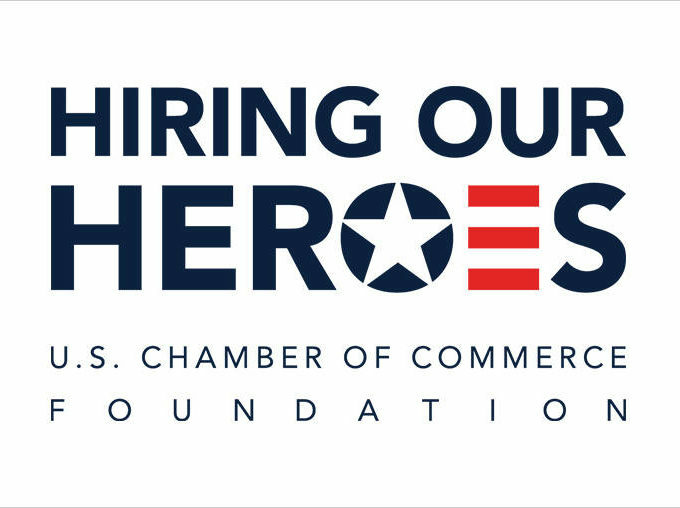 Britt Slabinski is a former Navy Seal who was awarded the Medal of Honor by President Donald Trump in May of 2018 for his actions during the Battle of Takur Ghar in Afghanistan.